Flavored sauces, an array of fresh herbs and spices, bright and colorful veggies all baked together on flattened dough. Pizza is held to a higher caliber here in America. We obsess over our Italian inspired rendition and eat it at every party and most significant events. But what about vegans and vegetarians wanting a piping hot pizza without the time to make their cruelty-free version? 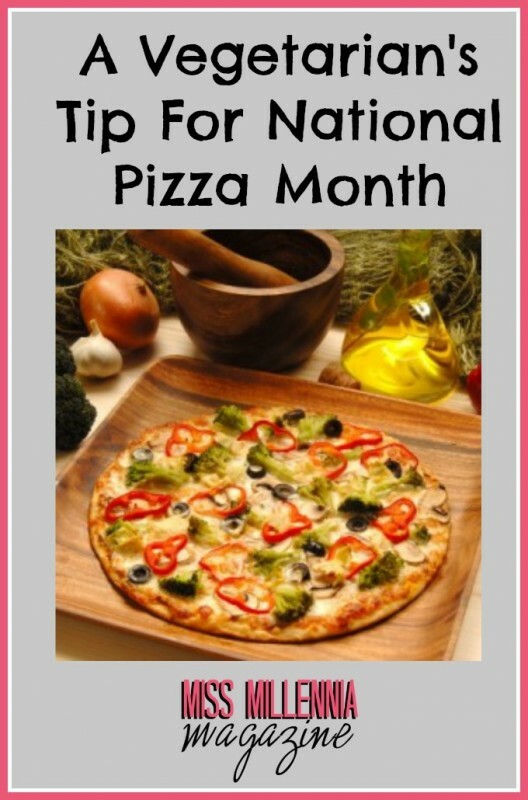 If you weren’t aware, October is National Pizza Month and World Vegetarian Awareness Month! All the more reason to combine the two celebrations with a veggie-friendly pizza. There are those days when you a have a little extra time to cook an excellent meal for friends at your house. You have wine picked out and ready to go, and have a blast laughing at each other’s stories. Then there are those days when you want to throw a pizza in the oven and walk away. Thank God for Amy’s because there are so many tasty vegan options you can heat up with a stove or an oven. I think my favorite on the list of dairy and lactose-free options from Amy’s is the Roasted Vegetable Pizza (with no cheese of course). I’m still not a huge fan of soy cheeses unless it’s being sandwiched together with bread and other veggies, so the roasted vegetable pizza just hits the spot. This tasty pizza is topped with roasted red peppers, marinated organic shiitake mushrooms, sweet onions, marinated artichoke hearts, and it’s all fantastic. I also love that it’s soy and cholesterol free. When in doubt I usually just turn to an original veggie-friendly company. Amy’s has been around since the late 80’s, and I would probably cry for days if they ever went away. The easy to warm up dinners make eating lunch on-the-go extremely simple if you toss it in the microwave, but it doesn’t mean I don’t cook. At times, I’ll take individual entrée items and snacks and pair them together with other entrees I’ve made for an excellent meal to save time.